CityGov is a beautiful and super clean municipality theme developed with easy-to-use approach for any small town websites. CityGov - a city government theme comes with fully responsive design solid, native layouts and is suited for all for a municipalities websites, government departments or agencies and town / city portals. The theme has lots of customizable features and functions for showcasing all the basic needs of a modern municipality (city, town or a small village). 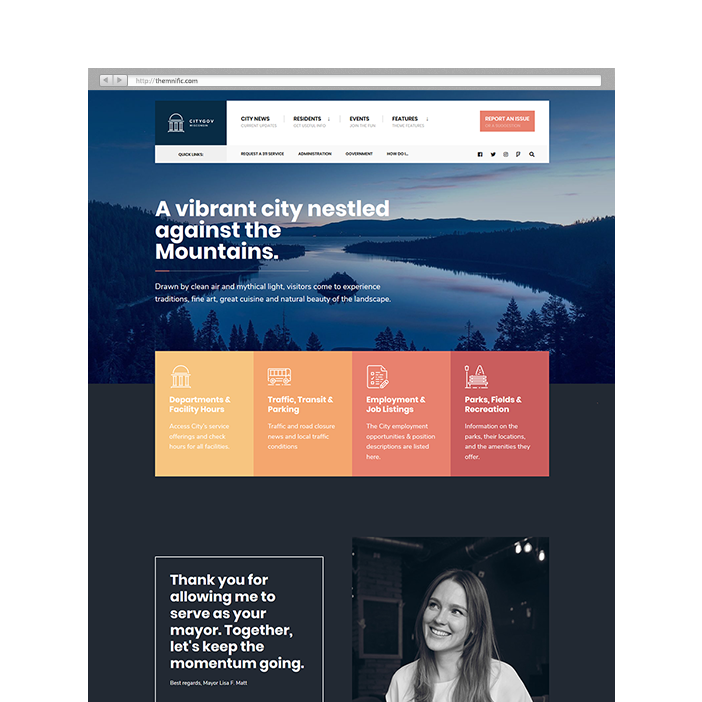 Share the post "CityGov Theme"
CityGov is ready to be translated to your language (with support for WPML plugin) and it is integrated with Elementor Page Builder that delivers awesome page designs and advanced capabilities for your site. With this page builder, you edit the page and simultaneously see exactly how it looks like. It is instant drag & drop page builder, with live edit and fast page load. You can serve fresh updates to visitors of your city / town website with clean and classic like design. Every visitor has the possibility to find what he needs quickly thanks to this well-designed menu. CityGov theme includes support for free ‘Events Manager’ plugin. Free ‘Delightful Downloads’ plugin is a super-awesome downloads manager that allows you to easily upload any common document. Download statistics are tracked within the WordPress dashboard.